Recently I came across Simon Bryant’s new cookbook Vegies, and being a fan of his work with the wonderful Maggie Beer on The Cook and The Chef, I couldn’t wait to flick through. Other than Hugh Fearnley-Whittingstall’s [amazon_link id=”1408812126″ target=”_blank” ]River Cottage Veg Everyday[/amazon_link] book, I’ve seen a number of books marketed under a vegetable guise and have been disappointed when I opened them up and found that whilst the recipes contain veg there is also a heavy reliance on meat for flavour. Simon’s didn’t do that at all and vegetables really are the star of his recipes. Purchase made I headed home and eagerly devoured the book, noting what recipes I couldn’t wait to try. And this, Simon’s Bok Choy with Noodles, Black Sesame and Spring Onion Oil was the first I opted to make. I loved the simple flavours of this dish, which only requires a handful of ingredients. I did make a few substitutions though, based merely on what I had on hand. In place of the fresh rice noodles in Simon’s recipe I used fresh Udon noodles. I also didn’t have light soy or vegetarian oyster sauce, so in their place I doubled the amount of soy and added a dash of kecap manis. The finished dish is really fresh, light and perfect as the days get warmer and we head into summer. For me though, the star of this dish is the spring onion oil. It’s so easy to make and definitely something I will be making again and again. Thinly slice on an angle some of the green parts of spring onion (to yield about 2 tablespoons) and set aside. Chop the remaining spring onions into 5 to 6 cm lengths and add to a small saucepan. Add the oil to the saucepan and place over a low heat for 30 minutes to infuse. Strain the oil, discard the onions and allow the oil to cool slightly before adding the soy sauce and kecap manis. Add the sauce to a large mixing bowl and set aside while you steam the bok choy and noodles. Add the bok choy and noodles to the boil with the oil and toss to combine. Add the salt and black sesame sees and toss through to coat. Divide the between 4 bowls and garnish with the reserved spring onion. Thank you for this really tasty recipe. My hubby and I both loved it. I am guessing that the 150mls(2/3 cup) oil is a typo. We used 1 TBSP (15 mls) of oil and it was delicious and more than enough for this recipe. Thanks so much for sharing. Love your blog. 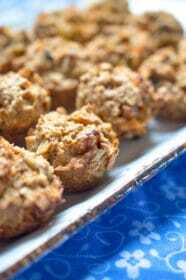 I have saved and pinned (w/ credit 2 U) many, many of your recipes. Can you please tell me what Kecap Manis is? I also want to thank- you for the link to the Vanilla Pod Mail Order Co.
A question, do you know if Aussie Vanilla Essence is the same as our Vanilla Extract or is it a concentrated Solution. If it is more concentrated then our extract, how would I use it in our recipes? The same measurements or less? Kecap Manis is a Indonesian style soy sauce that is very thick and syrupy. It also has a slight sweetness to it as it contains palm sugar. You can usually find it in Asian supermarkets. I love it mixed with soy in stir fries. Regarding Vanilla Essence versus Extract – extract is made from real vanilla beans however the essence is, usually, a cheaper but a manufactured vanilla flavour. However, I have seen some extracts that are actually labelled essences here in Australia, which makes things confusing. The one from Natural vanilla website I use is called an essence but it’s actually made from real vanilla pods. So it always pays to read the label. As for measurements, a manufactured essence is usually stronger in flavour than extract. After going to Japan recently, I now want to put black sesame on pretty much everything! This looks like a lovely dish. Oh how pretty!! And delicious, of course. This sounds delicious – and now I’ve got a mad craving for udon! 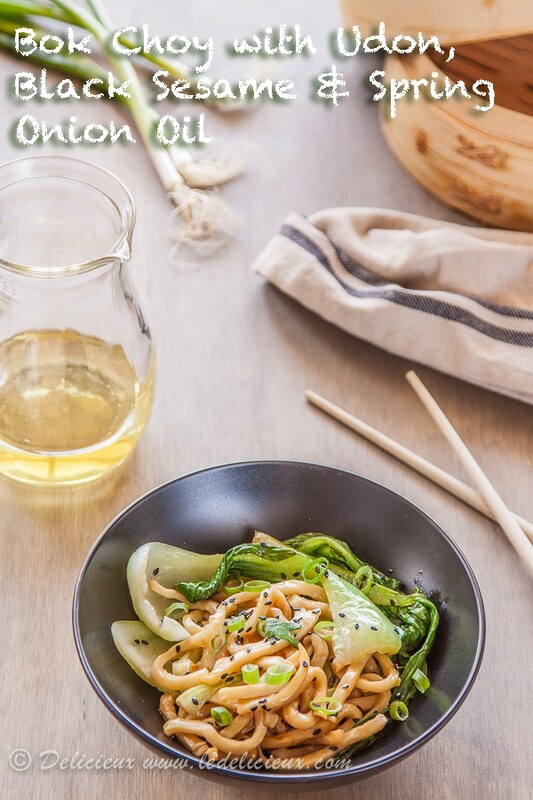 The bok choy dish looks great… lots of my faves in one dish! How good does this look? I love noodle dishes like this – I’ll be giving it a try for sure! Me being an Asian, I can say that I’ve eaten this quite a few times in my life 😉 hehe. Love this dish – and good idea with the vegetarian oyster sauce! What a nice surprise to see some Asian recipe on your site – I thought I was going to be drooling over your delicious sweets. 🙂 Happy to see udon used in this recipe. 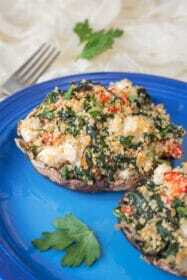 Looks simple and light and delicious! 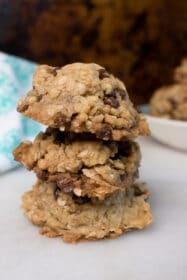 I can eat this for breakfast, lunch, or dinner, or even midnight snack… comfort for me! Love the simplicity and flavours in this dish. Never thought of infusing oil with spring onion, but it sounds great! I love black sesame seeds – they add such gorgeous flavour to a dish. And this looks delicious. I’m not vegetarian but would happily eat this on its own! That spring onion oil is definitely a lovely idea! I will have to give that a try. Looks gorgeous! Mmm, that looks fabulous! I love Simon’s Asian recipes – he seems to be able to create really fantastic flavours with simple ingredients. This sounds like a really lovely and simple dish, perfect for during the week. Udon noodles are perhaps my favourite noodles as I love their bouncy texture. 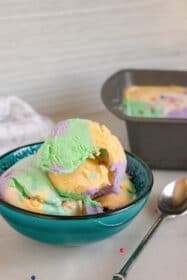 I think I will try this recipe very soon! Udon are my favourite too Thanh. 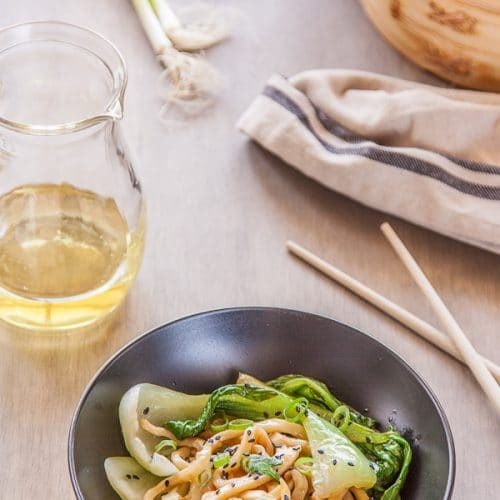 I always have them in the pantry 😀 If you are going to try this dish, I thought I’d give you the original dressing recipe calls for 1 tsp of light soy, 1 tsp of dark soy and 2 tsp of vegetarian oyster sauce. 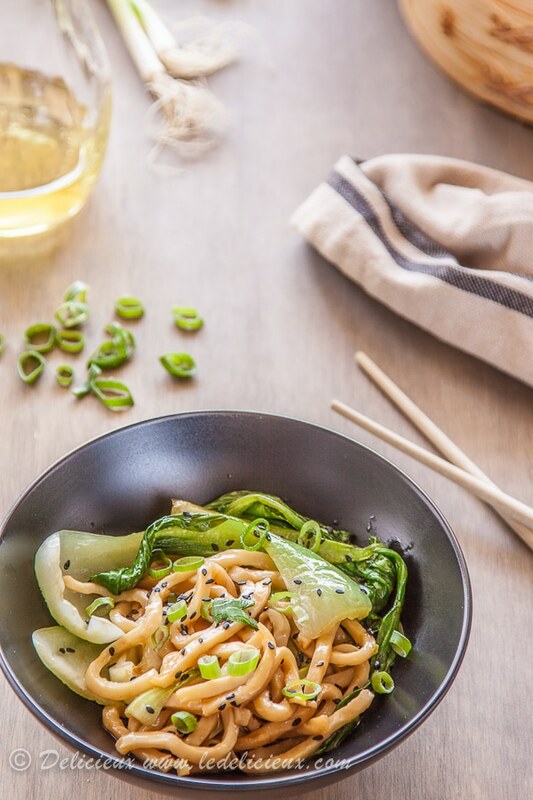 I love bok choy and the noodles are perfect here! Lovely flavors! Just yesterday Tom and I were discussing the fact that we want to make more Asian inspired dishes and this is a perfect example of a delicious and healthy dish.. Love the different way of preparing the spring onion too! What a gorgeous bowl of noodles! I love everything about it. Yummy!